The first scenes of A River Changes Course overload the senses with the stunning beauty and presence of Northern Cambodia as the grandeur of the river and natural environment dominate the cinematography. The focus centers on the lives of the families who depend on the river for labor, accommodation and nourishment. A community which appears at first entirely self-sufficient, with a father/son group visiting the other water houses selling the fish they have caught, is deconstructed by director Kalyanee Mam. We are given glimpses of intimate family life - mother's breastfeeding, picking for head lice, and so on. Mam is setting up the documentary for the emotional journey the audience will take with the families. The Tonle Sap dominates the mise-en-scene for nearly every shot in the beginning half of the film. The river is part of the biggest freshwater lake in South East Asia and the source of crucial conditions for the fishing and rice production industries. Mam investigates the change in condition of those who live by and depend on this body of water, which is rapidly deteriorating due to modern exploitation and greed. 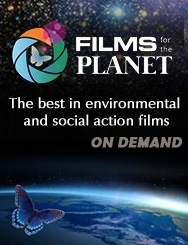 The film also examines issues of deforestation and urbanization. The film ultimately questions how changes in the environment effects the lives of those who strive to hold onto the simplicity of the past. Tying these themes in with imagery and emphasis on families working together, sustainable economies and strength to develop and change is one of the most appealing aspects of this beautiful documentary. The modern world is seen as an imposing and cruel force, as in one scene the local bank is seen to harass and tease a woman in debt. The mother in question retains her dignity in the face of this injustice, but it is in a heart-breaking scene later that the audience sympathizes with her the most. It is made clear from the start that the only apparent way for these families to survive is from the pursuits of their children. As the children approach young adulthood it seems the obvious decision to move to the highly populated cities and make money to bring home. The devastation of the mothers as the "truckloads" of young people leave the river town is clear, for the price of $3.75. It is here that Mam shows her ability to focus in on the moment and use the simplest methods to convey the deepest emotions. The closed in shot on the mother's face as she watches her eldest daughter - Khieu, is enough to break any heart and speaks to a multitude of families facing similar issues all over the world. The intrusion of modernity is no match for the love seen in the scene and it is handled with perfection. The early scenes of the film are contrasted by the portrayal of Phnomh Penh, the big city where all of the Cambodian youth emigrate. Bustling streets with nightmarish over-crowding flood the screen and the anxieties and rush of today's world interrupts the tone of the documentary. Cambodia's capital city is the new setting of the story, and Mam diligently follows her subjects into this new chapter of their lives. We see the new work, the new landlords, the cramped conditions and the modern influences on the young workers. However, it's not all bad and Mam is careful to show all facets of this world. There is mention of the opportunity to study, to improve the self. A new community springs up, with support and love to create a new family unit. The future is not quite bright, but Mam makes sure to give time to any spark that reflects upon Phnomh Penh. It is shocking to see that the basic wage for the women in the clothes factories is a measly $61 a month, with opportunities to push this to $100 with overtime. Social injustice and mass production collides as Khieu explains, "I never have time to think about the future." The first half of the film displays the issues that modernity poses, and when we return to the river Mam is keen to explore the environmental issues. Deforestation, pollution and the departing wild animals shadow the beautiful scenes. One villager remarks that once the animals were the biggest fears of the forest but now - "we're afraid of people". And people is the recurrent enemy in A River Changes Course. Mam focuses on the people who treat and respect the environment, in order to show how modern man exploits not only nature, but its benefactors. Seeing the villagers become sick from new diets of processed and imported food highlights the growing move away from natural goodness. New technology such as rice mills are seen to make quicker work but destroy land. Mam has achieved something special in the film, in allowing the villagers to tell their own story. Even if no one has all the answers, it can be agreed that the future of Cambodia's natural resources not only affects its people, but its culture.